There are a lot of areas in the middle where personality profiles can fall, and many traders are somewhere in this middle ground rather than on one extreme end of the spectrum or the other. The majority still lean either toward risk or away, however. Both of the extreme attitudes toward risk are likely to lead to unhealthy decision making and unpleasant outcomes. Some of the attitudes in the middle may as well, being based on one of these extremes. But there are moderate, healthy ways of looking at and interacting with risk. Healthy attitudes are key for binary options trading success. Binary options is a risky business, and there is no getting around that fact. A lot of brokers promote binary options as if there is no substantial risk. The exact phrasing that is typically used is, “Your risk is fixed.” On some level, this is true. Your risk for each trade is determined in advance, and you can easily calculate it. Though there is no fixed amount of risk overall, since you can invest (and lose) as much money as you want. Companies that try to promote binary options as a risk-free way to make a lot of money fast are often unscrupulous. The majority of these claims are made by binary options affiliates trying to make a quick sale. Other binary options companies actually have a prominent risk warning on their sites, which is commendable. Usually these companies state somewhere in their warning something like, “Trading binary options is a speculative activity which involves a high degree of risk and which can result in you losing your entire investment.” The warnings go on to state that that you can lessen your risk exposure if you trade with intelligent risk management procedures and knowledge of the market. While those companies with warnings like that are commendable please beware to watch for binary options companies with slippery terms and conditions. Just by thinking through the information above, you should already have a healthier concept of risk. Risk is not just a fact of binary options trading, but of everyday life. Each of us risks by getting up in the morning. Many misfortunes are in fact completely unpredictable and have nothing to do with our own personal choices. Your job is to become a risktaker without becoming a riskseeker. Risk is not a toy or a game. If you consider risk to be “fun,” you may want to think again. This is your life you are playing with. You should not deliberately increase your risk exposure beyond what you have to in order to pursue success. Instead, you should seek to mitigate unnecessary risks and take only the risks you have to. Most of the binary options traders who have gone broke while trading could have avoided it had they simply not plunged so willingly and recklessly into trading. If they had practiced more before going live, and stuck to a system, they would probably still be in the game today. Risk can be mitigated. 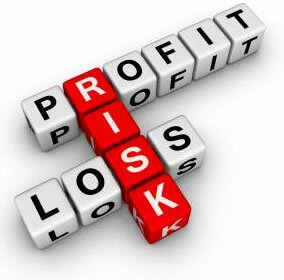 With risk management, a trader can reduce his or her exposure to risk while trading binary options. By cutting out unnecessary risks, you can take only the risks you have to in order to give yourself the best chance at success.